When you are measuring a company’s social media presence it is important to first and foremost understand the goals and objectives with their activities. What do they want to achieve with it their social media presence? Do they want to build trust? Raise revenue? Or do they want to better their reputation? After stating the company’s goals and objectives, there are several tools you can use when monitoring to make it easier to track all activities in detail. So what are the factors you need to take into consideration when monitoring, and what tools should you use? Engagement means how the audience responds to the content posted by the company that you measure. The engagement can be measured through how much the audience like, comment, share, view, and re-tweet. The measuring of engagement on social media is based on which platforms the company has a presence on. This measuring gives an indication of how effective the company’s messaging is. 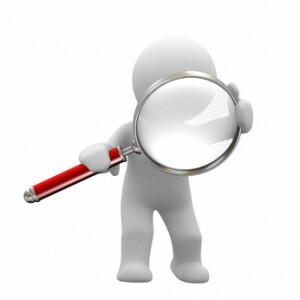 It is beneficial to monitor if the company reaches the audience that they intent to reach. By doing this they can see if their strategy is working and if they are using the right platforms. The tools gives indications of who the actual audience is on their website and on social media. Measuring content means the monitoring of everything that the company posts to earn awareness, likability and trust. This can be videos, images, text, songs and links. The content must be relevant to the company’s target audience, and this is what your aim is to find out by measuring the content posted. Manual reading of the company’s social media platforms. This means counting likes, shares, comments, views, fan growth etc. Moreover, it is important to monitor the message resonation to see how the messages that the company send out are being kept intact through audience sharing. This has been measured through how many re-tweets the company has gotten, if fans have quoted from tweets, mentioned the post or linked the post. Furthermore the actual reach and the strength of the message has been monitored through tools on Social Mention, and the reach has also been measured through looking at the increase in followers over the monitoring period. This means how the audience responds emotionally to the company’s content. This can be measured through monitoring positive/ neutral/ negative comments and likes/ dislikes. Tools as Twittratr and Social Mention have been used to measure the audience’s tone and sentiment. By following these points you can effectively monitor the social media presence of a certain company, and locate all ‘buzz’ created of and about the brand. It is best to monitor week by week to get a more detailed picture of the effectiveness of their activities. All the mentioned tools are free to use and can be very helpful! Good luck with your monitoring process! ← International PR – does standardised communication work?